and keeping the hair you have! daily stress and harsh chemical treatments. She decided to try NuHair®. about the wide gaps on my scalp." difference NuHair® did for me. Thank you!" and thinning along the hairline. 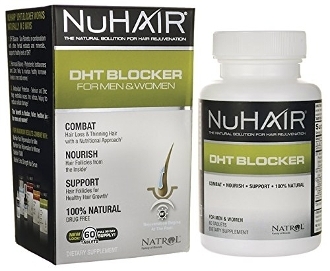 (Results achieve using the complete NuHair® Hair Regrowth Support System. healthcare professional before taking this product.